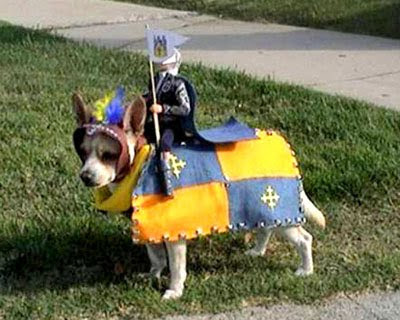 A friend just sent this to me, along with a number of similar "dog-costume" photos - as part of a collection titled "Why Dogs Bite People." They were all pretty hilarious, but this particular example really made me laugh out loud, because it was unique and so brilliantly done. PHOTO CREDIT: I have no clue.